In the state of Washington, background screening providers are only allowed to report records going back seven years under the guidelines of the FCRA. Because of this limitation, it is very important that your criminal background checks are handled by a knowledgeable, reliable provider such as Intelifi. Washington offers both a statewide search, as well as county criminal reports, all of which can be accessed directly by Intelifi to ensure the most current, up to date criminal background on a job candidate. When exact dates of sentences are so important, accuracy is extremely important. Intelifi can offer you this reliability by combining our National Criminal Report along with direct access to the county or counties that your job candidate has resided in. 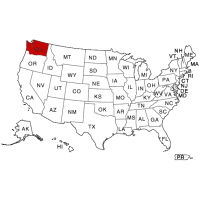 Criminal background checks in the state of Washington will show you Felony and Misdemeanor convictions over the course of the past seven years. This includes severe crimes such as Assault On a Police Officer, and less serious offenses such as Driving While Intoxicated. Contact Intelifi today to begin pre-employment screening in the state of Washington.